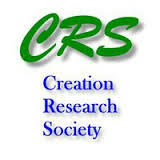 The Creation Research Society is a professional organization of trained scientists and interested laypersons committed to the scientific study of special creation as given in the book of Genesis. They publish a quarterly peer-reviewed creation science journal. “ Creationist research is having a global effect that is worrying the atheists and secularists of this world. They have had it all their own way for over a century but things are slowly changing. For almost twenty five years now, Journal of Creation has been publishing cutting-edge creationist research that has been fueling the war against evolution, creating little fires all around the world, including Great Britain. Atheist evangelist, Prof Richard Dawkins, speaking at the 20th anniversary of the Edinburgh International Science Festival in April 2008, said the rise of creationism in British schools raised a serious problem for science teachers. For a more detailed treatment, see Intelligent design. Scientists in the area of creation science and intelligent design advocates state the genetic code, genetic programs, and biological information argue for an intelligent cause in regards to the origins question. Dr. Werner Gitt, former director and Professor of Information Systems at the prestigious German Federal Institute of Physics and Technology (Physikalisch-Technische Bundesanstalt), wrote that human beings are the most complex information processing systems on earth. Dr. Gitt estimated that the human body processes thousands of times more information than all the world's libraries contain. Dr. Gitt argued that the density and complexity of DNA information is millions of times larger than mankind's current technology and this means a supremely intelligent being was the author of this information. Similarly, Dr. Stephen C. Meyer in his 1996 essay The Origin of Life and the Death of Materialism, wrote that "the information storage density of DNA, thanks in part to nucleosome spooling, is several trillion times that of our most advanced computer chips. Gitt stated that the author of the information encoded into the DNA molecule, who constructed the molecular biomachines to encode, decode and run the cells was supremely intelligent. Dr. Gitt asserted that because information is a nonmaterial entity and does not originate from matter, the author of biological information must be nonmaterial (spirit). Dr. Walt Brown concurs in regards to the supernatural origin of biological information and states that the genetic material that controls the biological processes of life is coded information and that human experience tells us that codes are created only by the result of intelligence and not merely by processes of nature. Dr. Brown also asserts that the "information stored in the genetic material of all life is a complex program. Therefore, it appears that an unfathomable intelligence created these genetic programs." Using a young earth creation model, physicist Russ Humphreys successfully predicted the strength of planetary magnetic fields while Darwinists failed. Since Humphreys' first success with the Voyager II results on Uranus and Neptune, subsequent explorations yielded additional successes for Mercury. Dr. Donn Chapman invited Dr. Humphreys on the Origins TV series presenting his theory. Other recent successful predictions were that Pluto would show active geology, it's atmospheric escape rate would be too great for millions of years, and that Pluto's moons would not yield evidence for being formed from collision. This was confirmed by the New Horizons flyby. The effect of evolutionism/atheism/agnosticism on the Western World and the world at large was mitigated by the growth of modern creationism and Christian apologetics in the latter half of the 20th century and today global creationism, Christian apologetics and global Christianity is seeing rapid growth. Creation science is considered as pseudoscience by the majority of the scientific community. It is also commonly rejected by atheists as they generally hold the worldview of naturalism. Liberals reject Creation Science with the spurious pretext that it cannot be disproved (falsifiability) and therefore cannot be considered "science". However, Dr. Walt Brown argues that the field of creation science is scientific and the evolutionists' objections to creation science are due to their worldviews and preconceptions, rather than on the basis of scientific evidence or the scientific validity of the idea. Also, Karl Popper, a leading philosopher of science and originator of falsifiability as a criterion of demarcation of science from nonscience, stated that Darwinism is "not a testable scientific theory, but a metaphysical research programme." Michael Ruse, a leading Darwinist and philosopher of science, conditionally acknowledged Popper's statement: "Since making this claim, Popper himself has modified his position somewhat; but, disclaimers aside, I suspect that even now he does not really believe that Darwinism in its modern form is genuinely falsifiable." However prominent evolutionist J. B. S. Haldane, when asked what would falsify the theory of evolution, said "Fossil rabbits in the Precambrian." ↑ D. Russell Humphreys, Ph.D. 1990. Beyond Neptune: Voyager II Supports Creation. Acts & Facts. 19 (5). ↑ Thomas, B. 2011. Mercury's Fading Magnetic Field Fits Creation Model. Acts & Facts. This page was last modified on 9 April 2019, at 01:58. This page has been accessed 142,812 times.